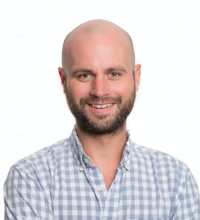 Welcome to Boston Company Spotlight featuring David Vencis - Program Director at Startup Institute Our goal is to highlight local influencers, resources, and opportunities for our Top Rep Boston Community! Startup Institute offers courses, and programs built to give people the skills, mindset, and network to build careers they love, doing work that matters, with innovative local companies. What is the Startup Institute? Startup Institute is an immersive, boot-camp style program that combines practical technical experience with soft skills, mindset training, and an incredible network giving access to the innovation economy for those who want and need it the most. Programs also help send current employees back to their companies with cross-functional and rejuvenated skills to be more impactful in their role. How would you explain the business model? We’ve learned that companies of all sizes that work on innovative products and ideas look for a specific type of person. Someone who is not only skilled in code, design, marketing or selling but who’s also self-aware, super comfortable with uncertainty, and who is energized by chaos. That’s someone who’s highly desired in today’s broader technology job market. Recent college graduates for instance usually learn a whole lot about their area of study but miss out on the chance to really practice except for future Doctors or other specialists. And, former teachers, lawyers, bankers, fundraisers, chefs, financial advisors, (the list goes on) can’t or don’t want to go back to college for a degree. So, Startup Institute has a program and a community for them to create their own reality in a faster, more affordable and relevant way. Can you explain why members should join the sales track? Those who are newer to selling or who might be switching from a less technical sales background (think financial advisory or selling insurance) can mitigate their risk in finding a role they’re truly passionate about with our sales program. The track is jam-packed across 8 or 12 weeks with topics ranging from asking great questions to drafting proposals and everything in-between. And it’s our philosophy that the best way to get great at selling is to practice actual scenarios. So, students are paired with a real company for 7-12 weeks to work on real sales deliverables like building lead-lists, email campaigns, writing pitch scripts, shadowing real demos and, in some cases, doing cold calling themselves. Too often, salespeople take a sales job based on assumptions. Maybe the team they're interviewing with just “feels like people they could get along with.” Or, a company raised a significant round of funding so, the timing feels right and “everyone is talking about them.” But, you really don’t know that you’re passionate about a product, market, or sales culture until you’ve been in a role for at least a few months. We train salespeople so they can join a company with a head-start and give them the power to learn about themselves and the important elements of choosing a role. How does this help someone’s career? On top of offering a depth of fundamental and practical sales experience, our sales track gives people access to a variety of industry practitioners and leaders. And, many alumni I’ve worked with have specifically credited ad-hoc, a-ha moments like “that one time Steve shared his philosophy on handling rejection on a cold-call…. That was a game changer for me. I do what he does and I’ll never forget that.” So, I think in the broader sense of someone’s career journey, these are the priceless moments you’d normally only get after working for multiple companies or in multiple roles. When you identify the tips, tricks, and stylistic things your could-be mentors are doing, though seemingly small, they could change your career. And we give people those opportunities in so many meaningful ways. What is your role at Startup Institute? As Program Director, I’m accountable for the overall success of our students and making sure we continue to grow this community in a way the helps the entire tech ecosystem in Boston and beyond. I teach core sessions and sales courses, provide career mentorship to students and alumni during and after the program, work with our admissions team, oversee our hiring partnerships and manage our program team. What types of events should people attend to learn more? We’re keen on making sure we meet the types of people who should be a part of this community so, that means we’re big on giving people opportunities to learn more. We frequently host info sessions for prospective students to meet our program team, admissions team, and alumni and also to see our space. And 3 times per year, in the middle of each cohort, we host what’s considered an Open Doors Party, a free event for anybody to attend who’d like to meet talented current students, alumni dating back to our first programs in 2013, partners, instructors, and other like-minded professionals. And it’s probably the most specific example of what we’re building here. We throw a darn good networking event and this is our best! Interested in learning more about Startup Institute? David has been in Boston’s Startup community for nearly 6 years having sold and led sales teams at LevelUp and EverTrue. Prior to that, he built a sales organization at a growth stage company in Seattle and cut his teeth as a technical recruiter for a stint. He prides himself on his unique approach to selling, building relationships, and teams and drinks way too much coffee.